recommended for: Fans of Percy Jackson series by Rick Riordan, The Gauntlet by Karuna Riazi, and other fantastical middle grade adventures set in a backdrop of myth and legend. I just read Percy Jackson and the Lightning Thief for the first time a month ago. It was everything that 12-year-old C.J. would have adored. Gods. Mythical figures. Kids my age being badass demigods and saving the world. As the first in Rick Riordan's new imprint, Aru Shah follows the tongue-in-cheek tone and demigod formula of Percy, but carves out a space all its own. 12-year-old C.J. is so jealous. Chokshi brings the wit and sweeping adventure of her young adult offerings to a younger tale that will delight and captivate kids and adults alike, set against the backdrop of early Indic lore. I was familiar with many of those legends, but much was new to me too. Chokshi does an excellent job of acquainting her readers with the legends while injecting her own cheeky modern twists, like the asura who steals souls in the beauty shop, or the Night Bazaar layered over a Costco. She also doesn't talk down to her reader; there are words and concepts untranslated, and I can only imagine many easter eggs for people who have grown up in Hindu culture. As with any good middle grade, the characters steal the show. Aru is Indian (at least half Gujarati, on her mother's side), spunky and relatable from page one. She doesn't quite fit in, her mom is working all the time, and all she wants to do is fit in with her wealthy classmates, even if it means crafting wild half-truths. She's the kind of girl who wears Spiderman pajamas and takes no prisoners. Mini is my soul twin, half-Indian and half-Filipino, nerdy and know-it-all-y, afraid of getting in trouble but also fiercely honorable. Aru's brazenness and Mini's logic temper each other and make for a perfect hero duo. Plus there's a snarky pigeon named Boo, which just speaks for itself. Allowing for the fact that I'm quite a bit older than the target demographic, it goes without saying that some of the plot points felt predictable, and there was a little too much exposition that took place in stilted dialogues. That said, Chokshi created an exciting quest reminiscent of ancient myths: a race to find three keys to the underworld, an enigmatic demon stalking the heroes, magical objects and supernatural puzzles. Chokshi's lush descriptions render Aru's world in vivid color. 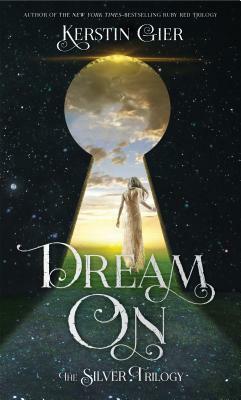 I'd recommend this book to a young fantasy lover without hesitation. Like Percy Jackson and Karuna Riazi's The Gauntlet before it, Aru Shah introduces a charming heroine faced with zany trials and old myths become new. It's a quick, fun read that will have many kids dashing to the library for copies of the Mahabarata and Ramayana. And for kids who already live on those stories, I can see it being a fresh, loving mirror of a familiar world. 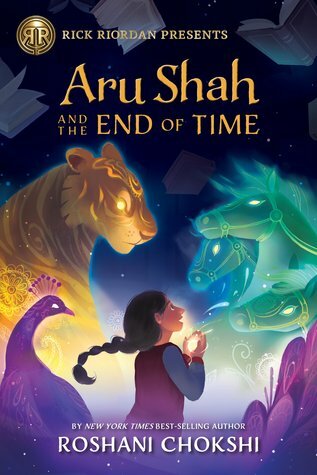 Aru Shah and the End of Time is a charming, cheeky twist on early Indic folklore centered around two Indian girls with a lot of cleverness and heart. will i continue the series? I might. I'd like to see where it goes.